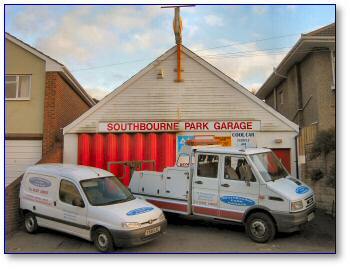 We have been here in Southbourne Bournemouth since 1976. We have a fully qualified team of technicians on-site, which has enabled us to build up a core of satisfied customers over the years. Book an appointment for your MOT test, and we can carry out the MOT while you wait. All makes of car. All makes of car. We can provide the regular service to your vehicle, whether it be petrol or diesel. This can be for private cars or indeed for company vans. This involves the use of the very latest equipment to carry out diagnostic tuning and repairs to most makes of vehicle that use electronic control units (ECU's). We also clean and service fuel injectors as part of the diagnostic service. Car air-conditioning systems should be serviced at least every two years.This could lead to the inefficient operation of your air-conditioning system. This service can be achieved for as little as £60 plus VAT. All makes of car. Repairs can range from tasks such as timing belt replacement, brake overhauls, clutch and exhaust replacement, to more complex repairs which involve utilising our highly specialised diagnostic tuning equipment.